There are few sightseeing options and places of interest in and around Roorkee. Piran Kaliyar Sharif is a revered dargah that is visited by thousands of devotees. Solani Aqueduct Park is a reservoir that was built 100 years ago and is an engineering marvel. Apart from that one can travel to the holy city of Haridwar which is located 30 kms from Roorkee. Pick-up from Dehradun Railway Station as per your flights time or Airport, drive to Roorkee. check in at hotel & relax, evening free for individual activities. Overnight stay at hotel. Have your breakfast at the hotel. Visit to Roorkee Local Sightseens, Piran Kaliyar, The Crystal World located in Roorkee is an amusement park for the tourists, The Solani Aqueduct, Evening free for individual activities. Overnight stay at hotel. 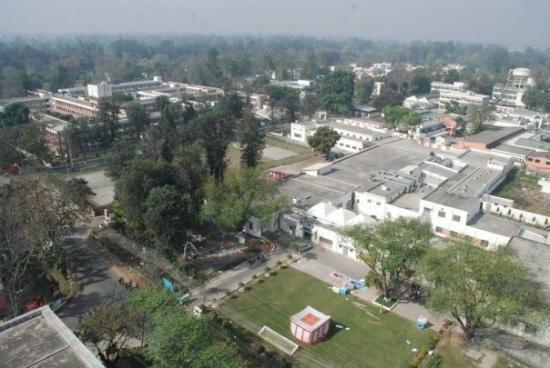 Jolly Grant Airport, Dehradun, is the nearest airport and is located around 69 kilometers from Roorkee. One can easily hire taxis which are easily available from Jolly Grant Airport to Roorkee. Roorkee is properly connected by railway networks with other major destinations of the country. Roorkee has an outstanding rail network with all significant cities of the country.